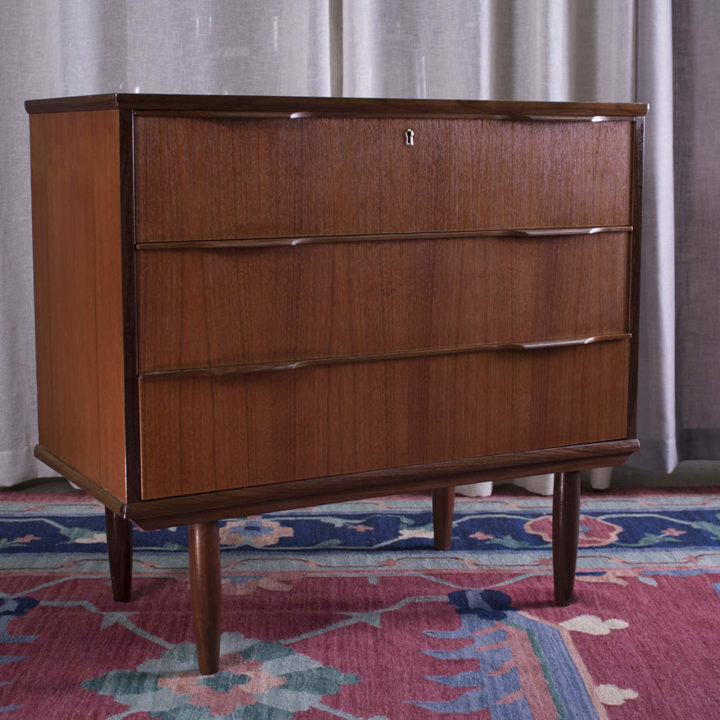 This Danish Dresser-Vanity-Secretary has 3 functions in one piece. All original teak with fold away mirror and multiple compartments. This is a perfectly beautiful teak piece, works for a office nook or in the bedroom. Condition: Good, excellent vintage condition. Wear consistent with age and use.